Back at the ceremonial stage, Zhou Wen Wu is busy warding off a never-ending stream of guards. It is too bad that Jiang Jiu managed to slip away just now but at this moment, he can only focus on keeping alive. He has sustained substantial injuries on his back and chest and knowing that the situation is disadvantageous to him if it drags, he nends to conclude this fight swiftly. He darts his eyes to where Zhou Wen Cheng is standing and swirls his sword in rapid circles as he clears a path to his target. 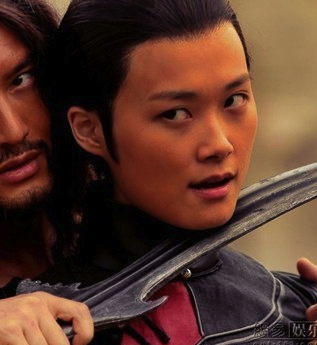 When he is near enough, he reaches out a hand to grab Zhou Wen Cheng’s collar and pin his sword to his neck. With him as hostage, the guards have no choice but to back off temporarily. Zhou Wen Wu has not told Xu Zhi that when he woke up from the influence of the bell, his heart has felt like a lump of ice in his chest as if it has just experienced abject terror. If his suspicion is correct, someone must have told him that he has lost something of upmost importance to him when he is under the spell, and if so, what would be the thing that Zhou Wen Cheng fears most, that will jolt him out of the spell? The light slowly comes back into Zhou Wen Cheng eyes as his heart fills with dread. He cannot recall a thing of what just happened and all he sees now is an untidy, bloodied man next to him, jerking his shoulder with one hand while welding a sword in the other. Blood is dripping onto the sword… where did the blood come from? Spinning around, he sees his courtiers on their knees and the royal guards around him. There are blood on the guards’ swords and bodies on the floor. What happened? Zhou Wen Cheng freezes at the news and trembles at the thought that he may be too late. “Quick! Quick! Men, go and stop Ting Wei!” Both he and his late father have intentionally created a wedge between Ting Wei and Xu Zhi to prevent them from colluding. But never in their wildest dream did they imagine that a totally loyal Ting Wei could bring down the Royal Family. Xu Zhi can die of old age or from illness, but not by his decree as it will create an uproar among the other nations! Besides he wants the glory she can bring to Xi Xuan, just that he needs a counter-force to curb her influence. A shadow crosses his path and he sees some guards trying to block Zhou Wen Wu from leaving. Looking at his uninjured hands, he looks at his guards and waves his hand to indicate to them that they can let him go. In a carriage rushing towards the city gates, Zhao Zi Huan is nearly “stabbed” to death many times over. Xu Zhi’s maid has helped to bandage her back but it should be hurting her as every time the carriage hits a bump, Xu Zhi would dig her sharp nails into his shoulder. Had his body been less sturdy, it would have been full of holes by now. “Leave the city? His Majesty has ordered to apprehend and kill Xu Zhi on the spot and we are searching for her. Have you seen her?” A hand appears through the curtain as Ting Wei sticks his hand in. The hand moves unerringly towards Xu Zhi and to everyone else’s surprise, it gently soothe her pale face that is beading with perspiration. Before Ting Wei retracts his hand, he catches her hand and writes a word on her palm with his finger. From his angle, Jiu Xing can see that he is writing the word “活” (stay alive). Ting Wei retracts his hand and continues to interrogate Zhao Zi Huan from outside the carriage. After a while, he proclaims that the person inside the carriage is indeed Zhao Zi Huan and lets the carriage through the gate. He swallows uncomfortably that the man he holds in such high esteem has also served as Xu Zhi’s man. 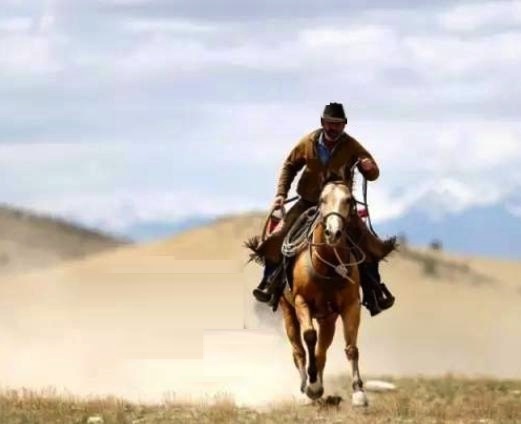 The rider paid him no heed and looks at Xu Zhi for a good long while before reaching out a hand to cup the back of her head and carries her carefully out of the carriage. Ohhhh, so many things, where to start? (1) So, her so-call #1 enemy in court used to be her servant. Ting Wei is obviously still loyal to her, just like Tong Mo and Zhi Jin Wu so they are all nice people afterall. They are not pretending to be nice to her while selling her out to the Royal family. (2) Zai Lin is not dead? And where did he find Sun Shi Yang when he is a man from a different era who has died? (3) Xu Zhi has changed. She may be reacting to Zhou Wen Wu’s request that she must speak up if she is in pain, but her way of sassing is so… nerdy! Cute, but nerdy. I bet Zhou Wen Wu must be happy like a lark that she is willing to tell him her pain when she does not share the burden with any other. And I’m so glad that Zhou Wen Wu survived the fight. Hopefully, with Ting Wei helping them secretly and with them out of the city, they will be safe from henceforth. If she does not die from her headache first, that is. uwaa.. not expecting ting wei..
Also the emperor, I have some doubts about him, I’m not certain he is a good or bad guy. Jiang Jiu’s survival is a question mark. I wonder if the effect of the bell will wear off after a while. If it does, he should be fine. If not, well, he will likely be hacked to death. ZWC – the author’s obsession with him will be revealed in Epilogue 1. Did the other men, like Ting Wei, also like Xu Zhi? Is it just that she was oblivious to them? I love how Zhou Wen Wu took Zhou Wen Cheng as hostage and threatened him. How valiant! You are right about XZ opening up to ZWW and how she is “sharing” with him her pain. I am thrilled to know that XZ had loyal people around her. What is the author’s obsession with ZWC?? Ting Wei treats her like his daughter. And ZWC is XZ’s experiment. How he turn out is of great importance. Answers are in Epilogue 1.